We have lost the war on cancer. At the beginning of the last century, one person in twenty would get cancer. In the 1940s it was one out of every sixteen people. In the 1970s it was one person out of ten. Today one person out of three gets cancer in the course of their life. John Thomas explains to us why the current cancer industry prospers while treating cancer, but cannot afford to cure it. Everyone we met at the University medical center was compassionate and concerned for us. After the surgery, we met with the oncologist. He explained the chemotherapy option. He told my wife, “You have 6 months to one year to live if you do chemotherapy. If you don’t do chemotherapy, then you have 6 months to 1 year to live.” The only positive reason that he could offer us for doing chemotherapy was that if by chance she was in the group that only had 6 months to live, then it might extend her life a few more months. We asked about alternative treatments, and he indicated that none of them have proven beneficial. My wife opted to not do chemotherapy, because she didn’t want to suffer the side effects of the drugs. Many things were different in 1995 than they are today. At that time, we did not have easy access to information about alternative cancer treatments. We did learn about a few alternatives and tried some of them, but the cancer kept growing. My wife refused to consider any alternative that would require her to make major lifestyle changes. She was willing to try therapies as long as she could keep working and could continue eating the standard American diabetic diet, which was a high-carbohydrate, low-fat diet. She only became willing to consider other alternative treatments when she was within a couple weeks of death. She lived for exactly one year from the time of her diagnosis. Are We Winning the War on Cancer? In the 2010 documentary titled “Cut Poison Burn,” filmmaker Wayne Chesler presents powerful facts about corruption in the business of conventional cancer treatment in the United States. 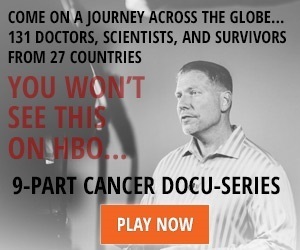 Consider these seven comments that were taken from the documentary, which show that America is far from winning the war against cancer. How can this be? Where have all those billions of research dollars gone? Where is the fruit from the war on cancer that began in 1971? Are we really much safer from the ravages of cancer today than we were in the past? The research dollars have all been devoured by a cancer monopoly – a cartel – consisting of pharmaceutical companies, the American Medical Association, a research system that supports pharmaceutical manufacturers, a system of charities that raise money for cancer research, and various federal agencies such as the US FDA. These groups have little interest in curing cancer, but are fully committed to earning profits for the cancer monopoly that is headed by the pharmaceutical companies. There is considerable talk these days in the media and among researchers who conduct research for the pharmaceutical industry that is intended to convince us that the cause of cancer is genetic abnormalities. The belief in a genetic cause for cancer serves the drug companies very well. They want us to believe that the cure for cancer will need to be based on genetics, and individualized drugs will need to be developed to match each person’s genetic profile and their specific type of cancer. The vast excitement about genetics on the part of drug companies and the conventional medical system is based on the fact that conventional medical treatments are unable to cure most cancers. This is a fact they will not admit. 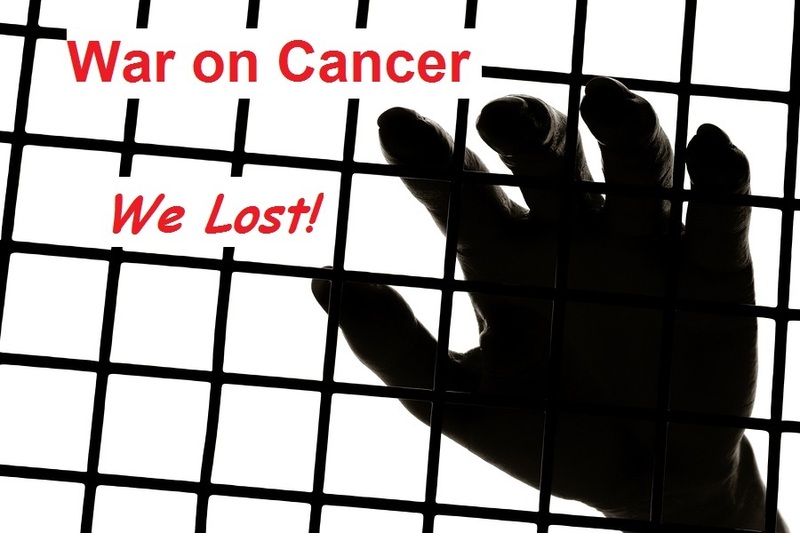 They want us to stop asking the question, “Why has the 40 year war on cancer failed to produce any results?” They want us to stop asking why there are only three approved treatments for cancer (surgery, radiation therapy, and chemotherapy) and why no new cancer therapies have been approved by the US FDA in the last one hundred years. They want us to have hope for a brighter day in cancer treatment while our friends and family die by the thousands every day. Dr. Thomas N. Seyfried, Ph.D. addresses the metabolic nature of cancer. He is a nationally known researcher in Genetics and Biochemistry. His research program focuses on gene environmental interactions related to complex diseases, such as epilepsy, autism, brain cancer, and neurodegenerative diseases. Dr. Seyfried investigates many of these diseases from the perspective of genetics, lipidomics, and energy metabolism. Much of his work also has direct translational benefit to the clinic for the treating of cancer through the use of the restricted ketogenic diet (KD-R). He is the author of Cancer as a Metabolic Disease, published in 2012. Dr. Seyfried’s research shows us that once again, the drug companies are on the wrong track when it comes to curing cancer. The current path of drug company research will not lead to a cure for cancer, but will perpetuate their multibillion dollar business model, which earns profits on the basis of withholding curative cancer treatments from the healthcare system. These are a few of Dr. Seyfried’s findings taken from the conclusion to his book. My comments are in brackets. 1. No real progress has been made in the management of advanced or metastatic cancer for more than 40 years. The number of people dying each year and each day has changed little in more than 10 years. 12. A new era will emerge for cancer management and prevention, once cancer becomes recognized as a metabolic disease. In other words, the cure for cancer is obtained by starving cancer cells so that they die while feeding the rest of the body so that it can grow stronger and use its natural immune system to resist cancer. This involves a high-fat low-carbohydrate restricted calorie ketogenic diet. Dr. Seyfried looks forward to the creation of new drugs that will take advantage of cancer’s dependency on glucose to address cancer. The combination of diet and targeted drugs will be a low cost treatment with few if any side effects and with a high rate of success. In 2012 I befriended a man in another country whose wife was diagnosed with late stage colon cancer. By this time, my second wife and I had spent many years studying alternative cancer protocols, and I was able to share what I knew with the hope that it could help his wife. His wife was resistant to trying alternative therapies unless her doctor would approve. My friend discussed several alternative options involving herbs and dietary supplements with the oncologist, and he was told that none of that would be beneficial, and furthermore, it might interfere with chemotherapy. The doctor even went one step further. He required that they make a commitment to not use any alternative therapy unless he agreed. He even took several bottles of supplements from their possession with the pretext that he was going to evaluate them. He kept them for months to prevent them from being used. They were returned only after my friend insisted that his property be returned. I shared information with my friend about several alternative cancer therapies which emphasized dietary changes. I explained how there was a large body of research that now shows that the high-fat low-carbohydrate ketogenic diet has proven to be a powerful tool for reversing and even curing some forms of cancer. This suggestion was met with strong opposition from hospital nursing/dietetic staff. My friend’s wife was told that she must eat fruit and carbohydrates in order to live. They were further told that a person’s diet has absolutely no bearing on treating cancer. She was encouraged to eat as much fruit, sugar, pasta, and bread as she wanted. My friend’s wife stuck with the standard American diet as she suffered through a dozen courses of horribly debilitating chemotherapy. Her doctor gave her permission to try alternative cancer treatments when it was clear that she had less than a month to live, and she would have been killed by another round of chemo. What I saw as I witnessed this situation was the steel walls of a cancer factory. Once my friends opened the door to the system, no matter what they thought or how they felt, the conveyor belt of the cancer factory would keep on moving them forward. They dangled the prospect of curative surgery for stage 4 metastatic colon cancer in front of her if she would first agree to do chemotherapy. Every attempt my friends made to try to change the treatment plan was met with opposition from her doctors to the point where her doctors even threatened to withhold pain medication if she refused to continue with chemotherapy. There was a standard of care and no one was allowed to control their own treatment once they entered the factory. The only ones who could avoid entering the cancer factory are those who had financial resources and who could seek private treatment in Europe or Mexico. Why is the Cancer Factory so Powerful? I will discuss the various parts of the “unholy alliance” that were used to build the cancer factory. I will describe the roles played by pharmaceutical companies, medical doctors, medical researchers, not-for-profit cancer charities, the FDA and CDC, carbohydrate addiction, and medical idolatry. I will also go on to discuss what current research shows us regarding how we can successfully cure cancer with alternative treatments. A person with cancer does not need to step into the cancer factory and surrender control over his or her life to the medical system. We do have other options. However, those who wish to avoid the cancer factory need to be willing to go through a complete lifestyle reformation. The cancer factory operates on money and lots of it. If we use a low estimate of the average annual cost for treating each newly diagnosed person who has cancer, (such as $50,000),  then the healthcare cost will be over 83 billion dollars for this first phase of cancer treatment for these patients in 2014. This makes it clear that a large percentage of cancer treatment is directly related to the cost of chemotherapy drugs. It is not unusual for a new cancer patient to be given 6 to 12 months of chemotherapy as part of his or her initial treatment. Nineteen years later, in 2004, Australian researchers came to the same conclusion as Dr. Cairns. They found that the overall contribution of cytotoxic chemotherapy to 5-year survival in adults was estimated to be 2.3% in Australia and 2.1% in the USA. In other words, very little benefit is being obtained from the billions of dollars that are spent on chemotherapy drugs. The pharmaceutical industry has a powerful hold on the entire medical system in the United States, and they are not about to let alternative cancer therapies be established. How do they control the cancer factory and the doctors that provide cancer treatment? The next sections will examine other parts of the cartel. For additional information about pharmaceutical companies, please read the following articles. In the 1800s there were two primary approaches to healing. The allopathic model viewed disease as an invader, which needed to be driven out of the body through the use of various treatments, which included bleeding, administration of toxic substances such as mercury and lead, and the use of surgical procedures. The other common style was the Empiric medical model, which attempted to help a person overcome disease by strengthening and encouraging a person’s own ability to heal. Herbs and highly diluted substances were given to help establish normal functioning of the body. In the early twentieth century everything began to change. Certain wealthy families with the last names of Carnegie, Morgan, and Rockefeller took notice of the potential profits that could be made from new patented medicines. They joined forces with the American Medical Association, which represented allopathic physicians, and implemented a plan to take control of the healthcare system in America. They began by taking control over medical schools. They made large donations to medical schools around the country in exchange for the opportunity to put their representatives on university boards of directors. This enabled them to reshape the curriculum to focus on what would become the three pillars of modern medicine, i.e. surgery, radiotherapy, and synthetic pharmaceutical drugs. Medical training would now focus on these pillars, especially the last pillar – synthetic drugs. Doctors would be taught to depend on pharmaceutical drugs for their first line treatment for all health conditions. It only took about twenty years for the American Medical Association to dominate medical practice in the United States. During this time, they implemented a campaign to eliminate all competition. They used various marketing campaigns to discredit and disqualify homeopathic physicians from practicing medicine in the United States. The AMA called other types of healthcare providers quacks and called all therapies, other than the ones they provided, quackery. This smear campaign continues to this very day with numerous anti-competition websites. The chief website is called Quack Watch, which is dedicated to eliminating all forms of competition to the pharmaceutical cartel, which might threaten the use of pharmaceutical drugs and which might cause people to turn away from the allopathic medical care system and its cancer factory. Before 1980 most clinical research was funded by the US National Institutes of Health through grants given to universities. The universities conducted unbiased scientific research designed to reveal truth about whatever they were studying. The pharmaceutical industry wants us to believe that the US Food and Drug Agency (FDA) and the Centers for Disease Control (CDC) are working to provide safe and effective medical care for all Americans. The truth is that the FDA is now funded, in large part, by fees paid by drug companies, and the CDC marches to the drum beat of the pharmaceutical industry. There is a revolving door of pharmaceutical industry representatives who hold influential positions in these agencies while having strong ties to their former (and future) pharmaceutical industry employers. In short, the big pharma fox is not only guarding the hen house, he is living in the henhouse. Thus, the principle of overseeing public safety and efficacy has been replaced by the profit motivation of the pharmaceutical industry. These agencies not only serve the cartel and its cancer factory, but they are working hard to prevent anyone who is not part of the cartel from successfully introducing alternative cancer treatments into the medical care system. I used to give money to all the walks, runs, dance marathons, swimathons, bikeathons, etc. I used to believe that I was doing a good deed. I saw all those handicapped kids and women who were suffering from breast cancer and other life threatening diseases, and my heart strings would get twanged. With the sympathetic sounds of pleading children in my ears, I would open my wallet and support what I believed must be a good cause. What I have learned over the years is that most of these types of activities and the national organizations that organize them have a strong interest in not curing the diseases that are listed in their names. In the case of cancer charities, they are among the most highly funded charities. Beyond the high percentage of the money they use for overhead operations, most of the money they raise goes to support research activities that have been approved by the pharmaceutical cartel. In other words, when we give a dollar to a cancer charity, it will likely end up supporting research that was designed by the pharmaceutical industry. It will not be given to anyone who is doing alternative research on cancer treatments, which might be a financial competition to the drugs, radiation, and surgery that are provided by the cancer factory. In short, a dollar given to these charities enables the drug cartel to continue with their existing research program on donated money. I may as well have just written a check to Pfizer, Bayer, or some other multi-national pharmaceutical corporation. The truth is that most Americans are physically and emotionally addicted to carbohydrates. Most carbohydrates turn into glucose and as research shows, most cancers require glucose to survive. Healthy human cells can either use glucose or ketone bodies for energy. However, cancer cells have impaired respiration, which results in their inability to use ketones for energy. The principle behind the ketogenic diet for cancer treatment is to severely reduce glucose consumption and calorie consumption, to force the body to produce ketone bodies which it can use as an energy source. The result of this dietary therapy is to essentially starve cancer cells, while all other healthy cells in the body are nourished by ketone bodies. Unfortunately most members of the conventional healthcare system falsely believe that glucose is necessary to support human life. Every cell in the human body can easily survive on ketone bodies including the human brain, but not cancer cells. One of the foremost experts in the use of the ketogenic diet for treating cancer is Dr. Thomas N. Seyfried, Ph.D. I started this article with a few of his research findings. He is the author of Cancer as a Metabolic Disease, published in 2012. Evidence suggests that the human brain can become addicted to glucose from a lifelong consumption of energy-dense foods of low nutritional value. [Typical high carbohydrate American diet] Consequently, the abrupt cessation of food intake may produce temporary withdrawal symptoms similar to those experienced from cessation of any addictive substance. This is one reason why considerable personal discipline and motivation is needed to follow the ketogenic diet regimen. Glucose withdrawal symptoms can be greater in those individuals who have never fasted than in individuals who have experience fasting. As most people in modern industrial societies do not practice therapeutic fasting as a lifestyle, glucose withdrawal symptoms will likely be encountered in most patients who attempt the restricted ketogenic diet as a cancer therapy. These symptoms could also be greater in older individuals than in younger ones. Indeed, fasting might not be possible in some older people who have lived a food-rich life of excess. I mention Dr. Seyfried’s work, because most people have been victimized by the high-carbohydrate diet, which has now been proven to cause diabetes, heart disease, Alzheimer’s, and cancer. We were told that saturated fat and cholesterol were evil, and we should eat mostly carbohydrate food with every meal and to especially start the day with a fat free breakfast consisting of nearly 100% sugar and grains. The standard American diet has created generations of carbohydrate addicts. When an addict is faced with the prospect of needing to give up his addiction many will say, “I would rather die than to give up candy bars, bread, pasta, and fruit.” And sadly, I have watched people with cancer do just that! They gave their cancer the exact food it wanted to keep growing and they died despite all the chemo, radiation, and surgery. They refused to accept the possibility that their nutritionally deficient standard American diet had anything to do with their health. “Question: Do your doctors have an opinion on your diet therapy? We have all been taught to put people who wear white coats up on very high pedestals. We have been taught to believe that physicians and other healthcare providers will always keep our best interests in mind. We have been conditioned to live as if doctors are the closest people to God that we can see on the Earth. We are to revere them, respect them, and never question their judgments. We should feel shame if we doubt our doctors and should consider ourselves traitors if we don’t follow every directive they give. From our earliest years, we have been brainwashed to do whatever doctors tell us. What do we tell our children when they are sick and are refusing to take a horrid tasting medicine? We say, “You have to take this, because your doctor says so.” In short, we treat them like gods and worship them through our checkbooks. I affirm that I will obey my doctors. I will take all the medication that he or she prescribes. I will trust my doctor, because he or she would never do anything that would not be in my best interest. I will distrust all forms of alternative therapies and will especially distrust all healthcare providers except those approved by my doctor. I yield responsibility over my life and my health to my doctor and to the therapies of the conventional American medical system. I will entrust them with my health and give them credit for all successes. If I cannot be cured, then I will attribute the failure to genetics, and will reassure my doctor that he or she provided the best care that could be offered for my condition. I will praise the conventional medical system in America until I die. When we renounce this oath, we become responsible for managing our own healthcare. We turn away from medical idolatry and no longer worship the people who wear white coats. We discontinue the blind acceptance of whatever healthcare providers tell us to do, and we actively begin to chart the course for our health. We may choose to seek out alternative minded physicians who will work with us as medical consultants, which is a very different type of relationship. Some who read this will still be reluctant to break the oath, because they are not willing to kick out the pedestal that their doctors are standing on. I hope, as you read further, you will begin having a change of mind. The following links are for articles that describe how the pharmaceutical cartel and its supporting institutions are making us sick and have failed to promote our health. The failures are many and the conflicts of interest are grievous. The big pharma cartel has bought its way into every corner of US society. Our medical freedom is dwindling by the day. Many of us have made decisions to try to avoid interacting with the healthcare system and the pharmaceutical masters who control most doctors in America whenever possible. It is possible to take responsibility for your health and to reverse the patterns of disease that you are experiencing. Yes, this includes cancer. Please remember, illness is not normal despite what doctors tell you! I spent nearly 50 years eating the standard American diet. I was extremely overweight, sick, and developing heart disease. I have been on the ketogenic diet for most of the last three years, and used a less restrictive version of it for a few years before that. My heart function is now normal and I am more mentally alert and physically stronger than I have been in many years. 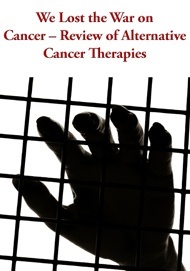 Consider the profits that are being made by chemotherapy drugs. This is actually a tiny portion of all the money that is being made by the cancer factory and the pharmaceutical cartel. The cancer factory is truly big business in America. This system cannot afford to permit anyone to find a cure for cancer. 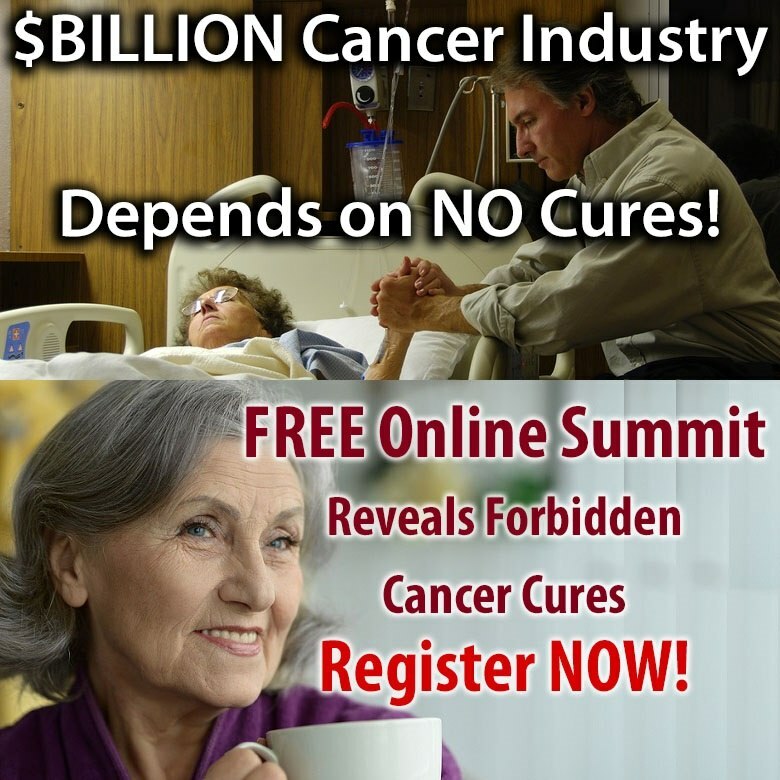 If any of the low cost highly successful alternative cancer treatments were to be approved for use, then this entire system would come crashing down. The pharmaceutical cartel will not let that happen. Cancer as a Metabolic Disease, Thomas N. Seyfried, 2012, John Wiley & Sons, Hoboken NJ, page 407. 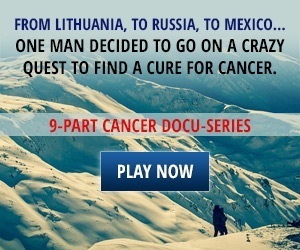 “Cancer the forbidden cures,” Film documentary. Organ G1, Ward R, Barton M.; “The contribution of cytotoxic chemotherapy to 5-year survival in adult malignancies,” Clin Oncol (R Coll Radiol). 2004 Dec, PMID: 15630849. Cancer as a Metabolic Disease, Thomas N. Seyfried, 2012, John Wiley & Sons, Hoboken NJ, page 361.